NFL players reacted with rage on Friday after President Trump told NFL bosses to fire players who protest and disrespect the American flag during games when addressing the national anthem. Trumps comments were in response to reports that player protests have resulted in low TV ratings and half empty stadiums. Trump made the statements during a rally for Alabama Senate candidate Luther Strange in Huntsville on Friday night. NFL players were livid after hearing Trump’s remarks. Many of them took to social media to vent their anger at the Commander-in-Chief. The NFL Players’ Union also issued a statement, saying they will never back down from protecting the players’ rights to protest. A slew of bigoted shoppers at the trendy Mall of America in Minnesota are threatening to boycott after the mall hired its first black Santa Claus for 4 days. 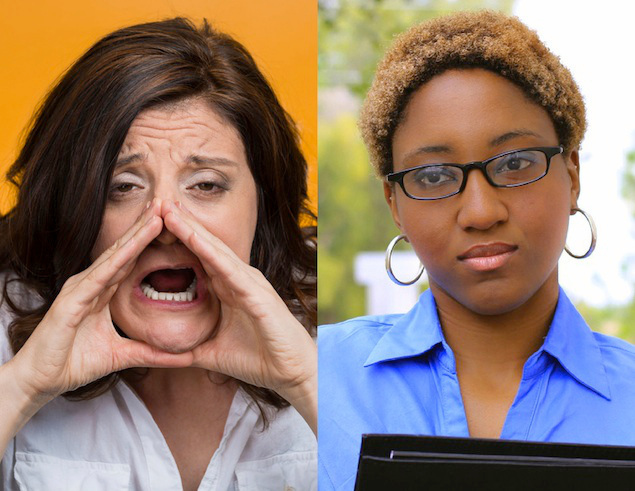 Readers sounded off in the comments section of the Minneapolis newspaper. Many of the comments revealed the racism that divided this country in post-Obama America. The reaction was so vociferous that the newspaper was forced to shut down the comments section. “Looks like we had to turn comments off on story about Mall of America’s first black Santa. Merry Christmas everyone!” an editor wrote. A report on a CBS Minnesota website that was inundated with racist and vile comments was also shut down. This poor Santa, looks like he may be out of his seasonal gig. West Virginia officials are under fire for their comments about Michelle Obama. A nonprofit group’s director and a mayor in a small town in West Virginia have been swept up in a firestorm surrounding comments they’ve made about Michelle Obama that have been perceived as blatantly racist. “It will be so refreshing to have a classy, beautiful, dignified First Lady back in the White House. I’m tired of seeing a Ape in heels,” according to NBC affiliate WSAZ. Comments posted by Pamela Ramsey Taylor (pictured above), on her Facebook page about Michelle Obama. Taylor, who was director of Clay County Development Corp. in Clay, Virginia, a small town outside of Charleston, made the comment about the move from Michelle Obama to Melania Trump. The comments were later deleted, but images of the post have been shared widely on social media. As of Monday afternoon, an online petition calling for the women’s terminations had garnered more than 14,000 signatures. Both of their Facebook pages have been removed, according to the Charleston Gazette-Mail. Two-tenths of 1 percent of Clay County’s residents are African American, according to census data. More than three-quarters of the presidential votes cast in the county went to Trump. The two women have apologized for their remarks. You can read further here! Last week, an Illinois substitute teacher reportedly called a group of four middle school girls the N-word after they asked not to be called African-American. The incident occurred at Jay Stream Middle School in the town of Carol Stream during an eighth-grade social studies class. When interviewed by local news outlet WMAQ, student Mea Thompson, who is of Jamaican descent, said they asked the teacher not to call them African-American since none of them are from Africa. The teacher allegedly used the N-word several times over the 80-minute class period. When reached for comment, the District Superintendent William Shields said the events in the classroom are still unclear, but said the teacher would not be returning to the school. 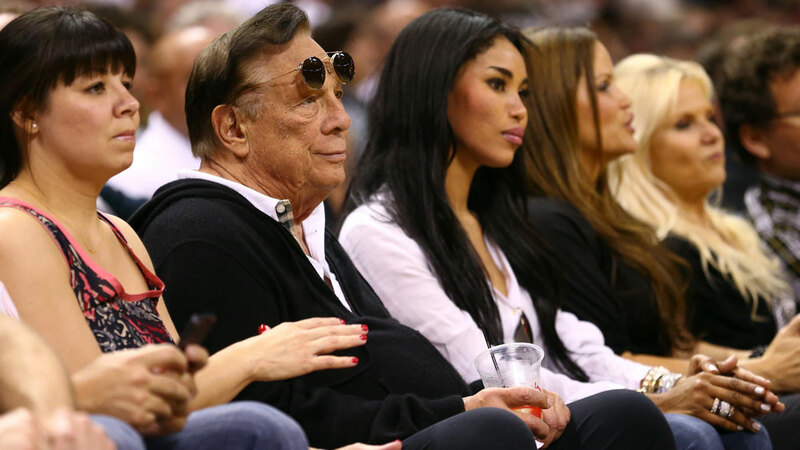 Is Clippers owner, Donald Sterling really racist? The Los Angeles Clippers have addressed the racist remarks attributed to owner Donald Sterling. TMZ released on Friday night a taped conversation allegedly between Sterling and his girlfriend V. Stiviano, 38 (pictured above), in which Sterling asks Stiviano not to publicize her friendship with African Americans. “Mr. Sterling is emphatic that what is reflected on that recording is not consistent with, nor does it reflect his views, beliefs or feelings,” the statement says. This matter has garnered reaction from Magic Johnson, Charles Barkley, Snoop Dog and a whole host of others. Johnson tweeted that he will never attend a Clippers game again as long as Donald Sterling is the owner. Former NBA player Charles Barkley called for Sterling to be suspended and fined immediately. Sterling was reportedly supposed to receive a lifetime achievement award at the Los Angeles NAACP’s 100th anniversary event on May 15.